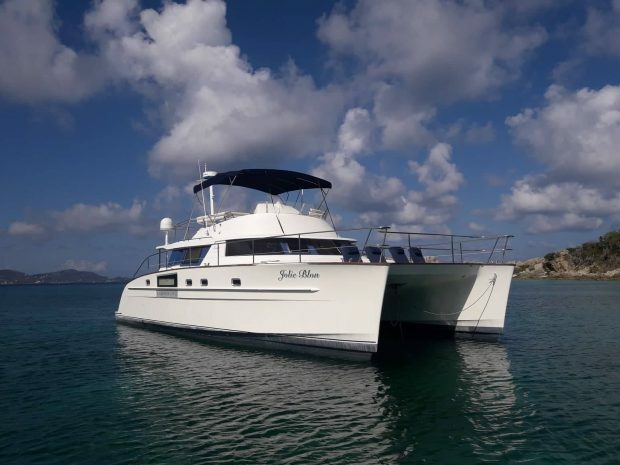 'Jolie Blon' is an easy-handling, comfortable powercat built by world leading manufacturer Fountaine Pajot. 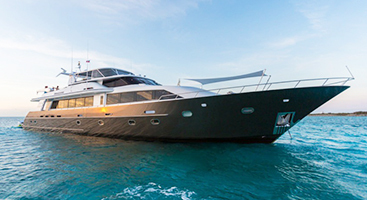 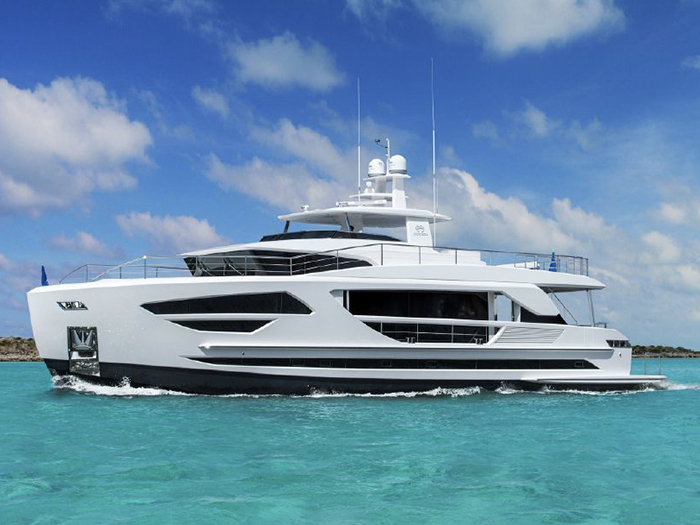 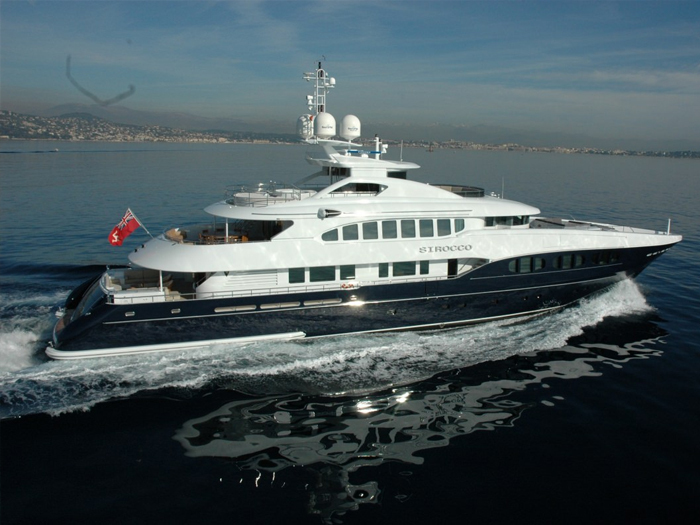 She is the ideal choice for guests looking to enjoy a fun and relaxing powercat for charter! 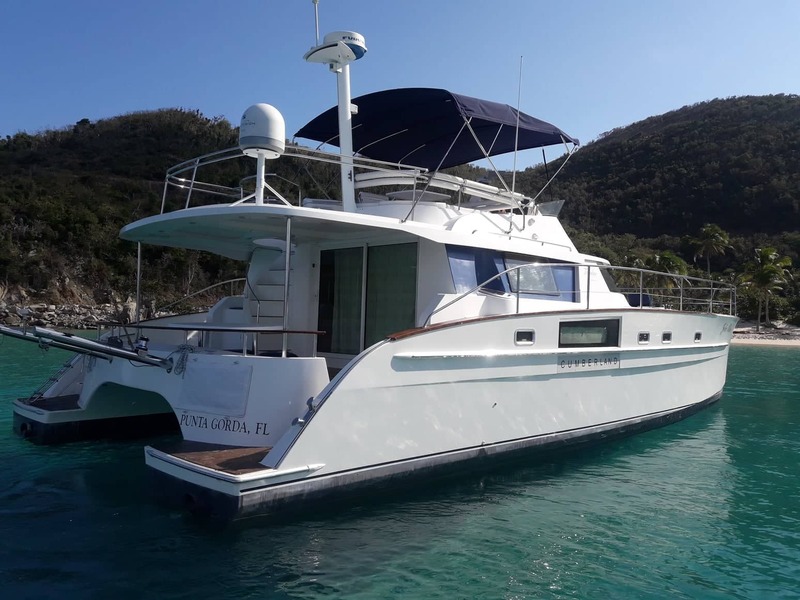 ‘Jolie Blon’ is an great example of the Fountaine Pajot Cumberland 44. 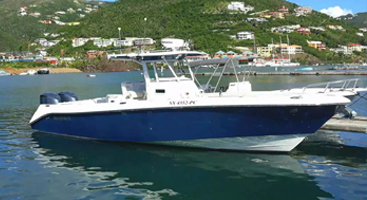 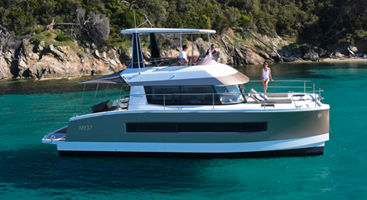 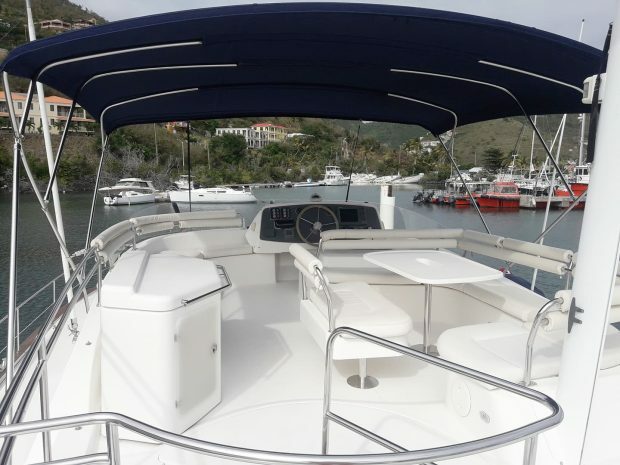 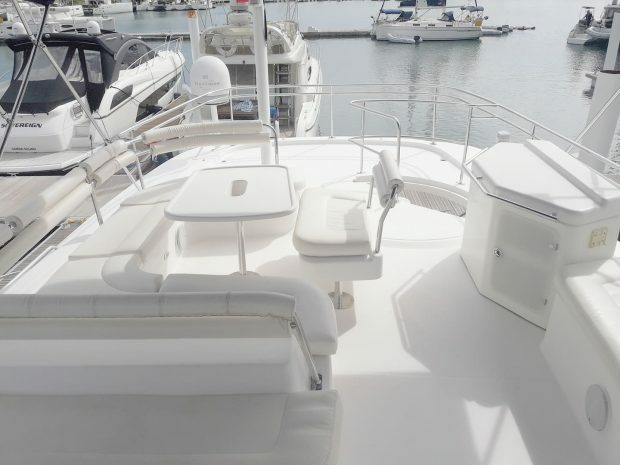 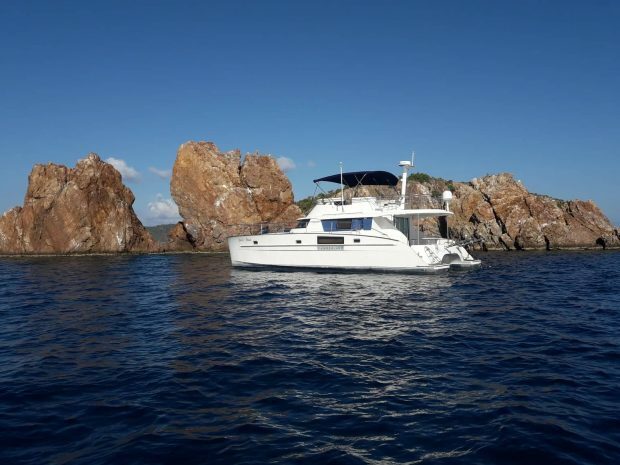 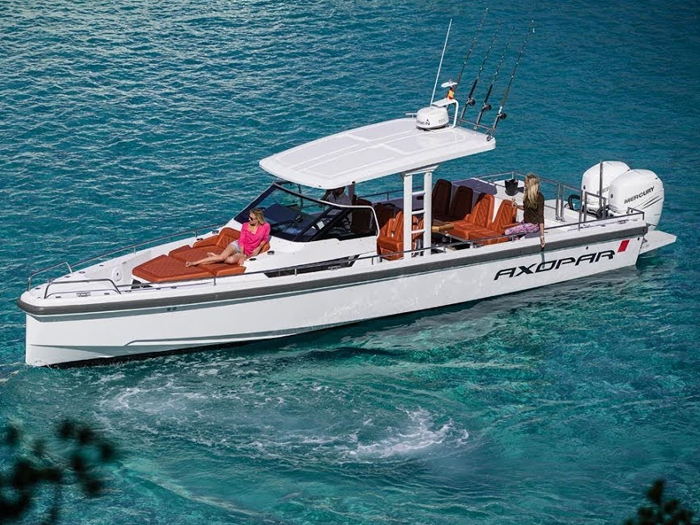 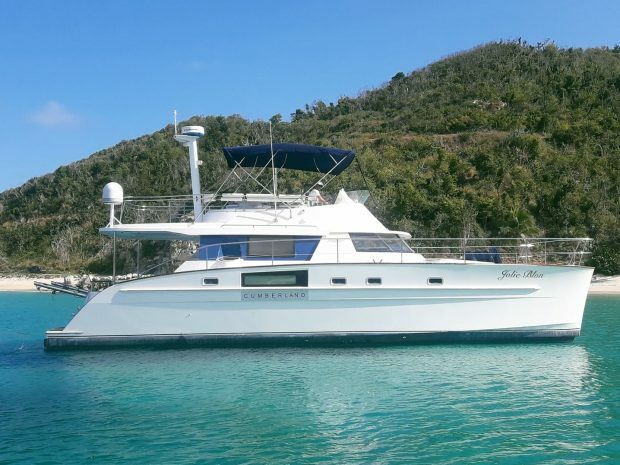 She is the ideal choice for guests looking to enjoy a fun and comfortable powercat for charter. 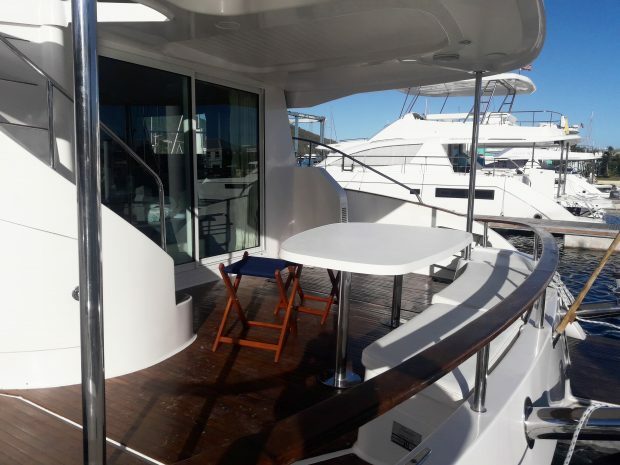 ‘Jolie Blon’ has a covered aft deck with wrap around seating, perfect for enjoying afternoon cocktails or dining al fresco. 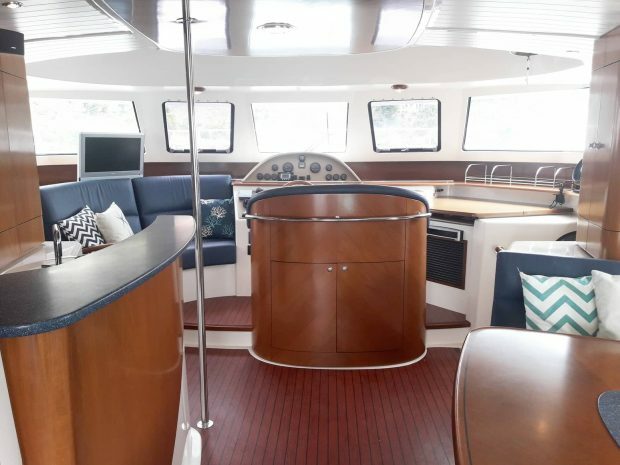 Up a sweeping staircase is an expansive flybridge with a built in wet bar and huge amounts of outdoor seating. 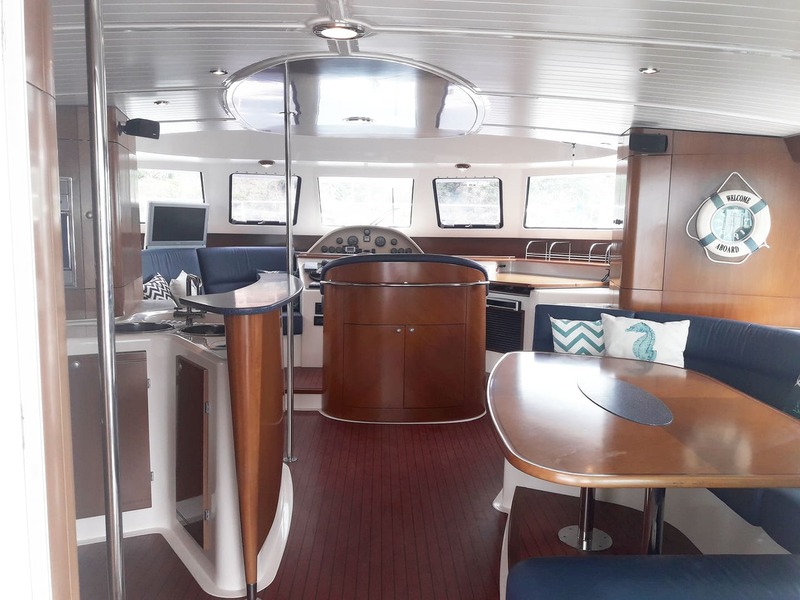 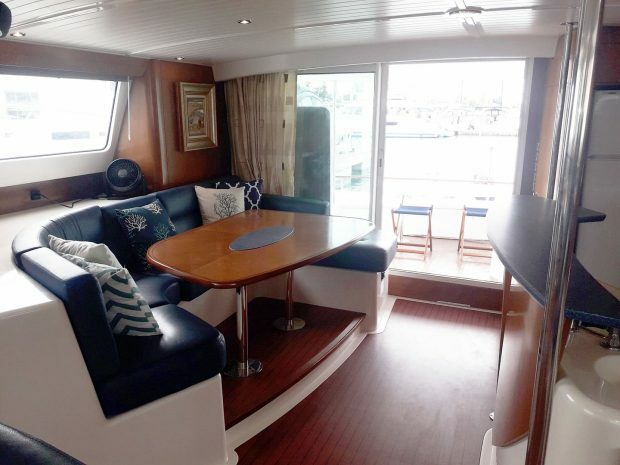 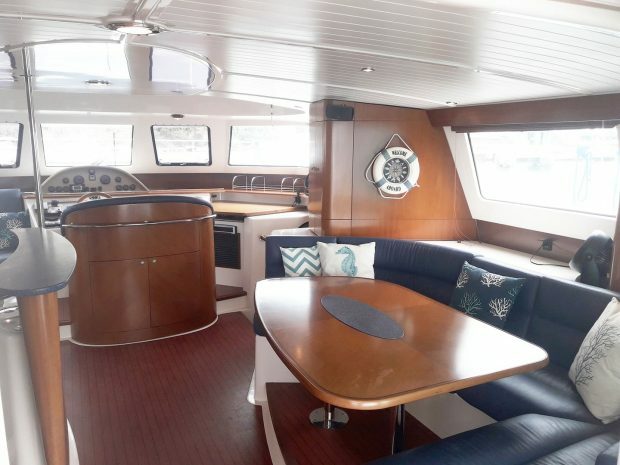 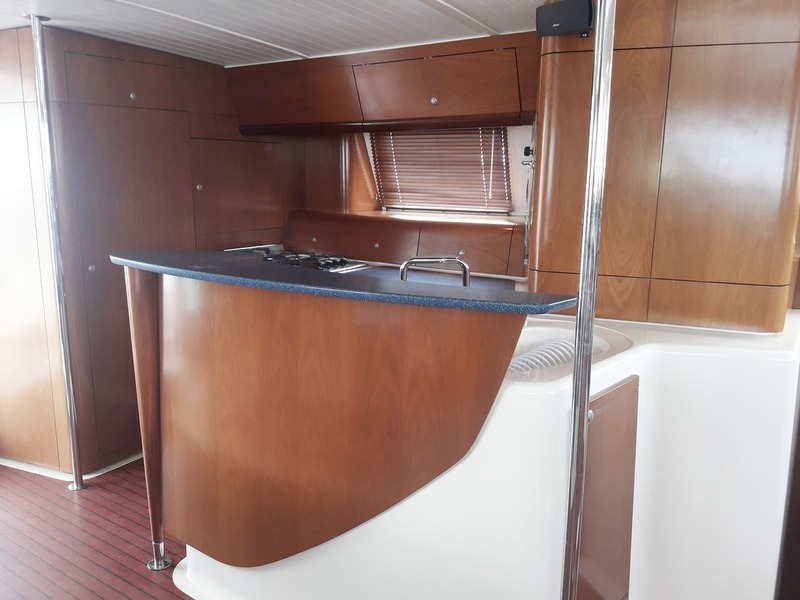 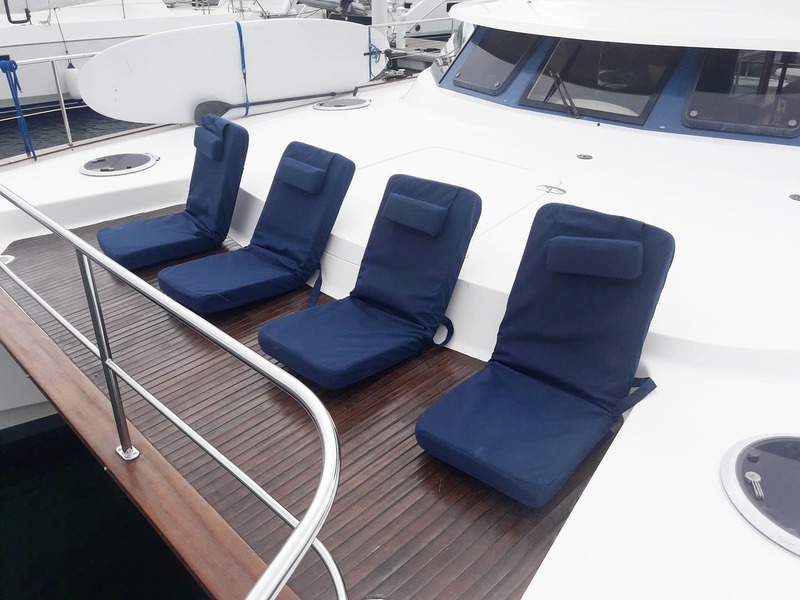 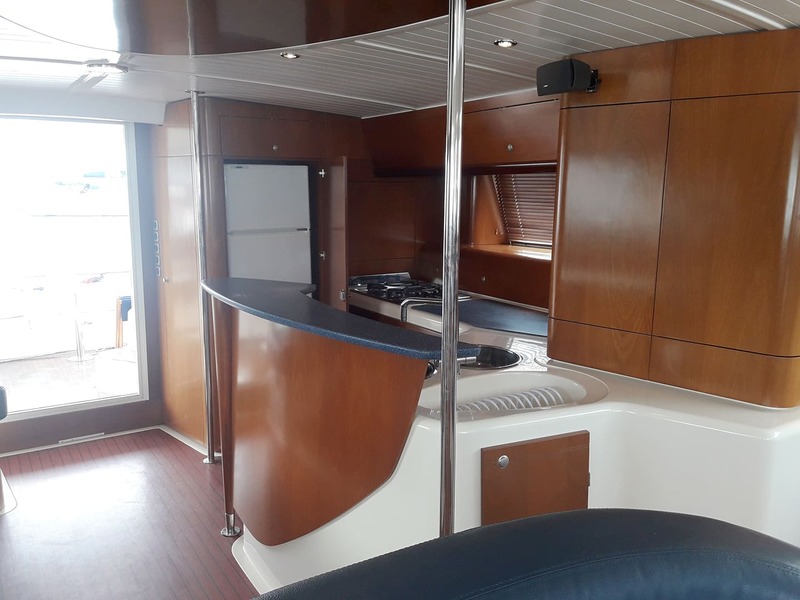 The bridge deck helm offers a great view while driving and with plenty of comfortable seats as well as an additional dining table, your entire group can spend time up top while the captain is at the wheel. 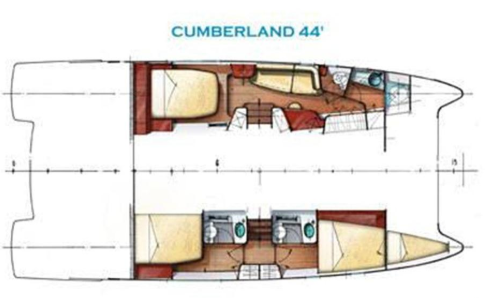 Sliding doors aft lead into an open-concept, panoramic salon and galley. 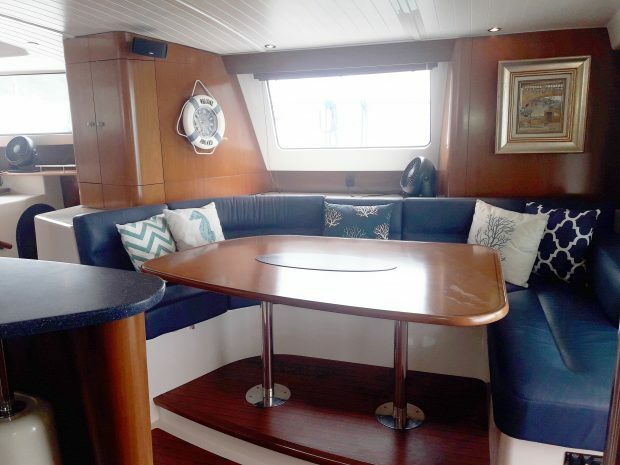 The salon has a large dining table to stbd. The port side, galley aft design allows for convenient indoor/outdoor dining preparation. 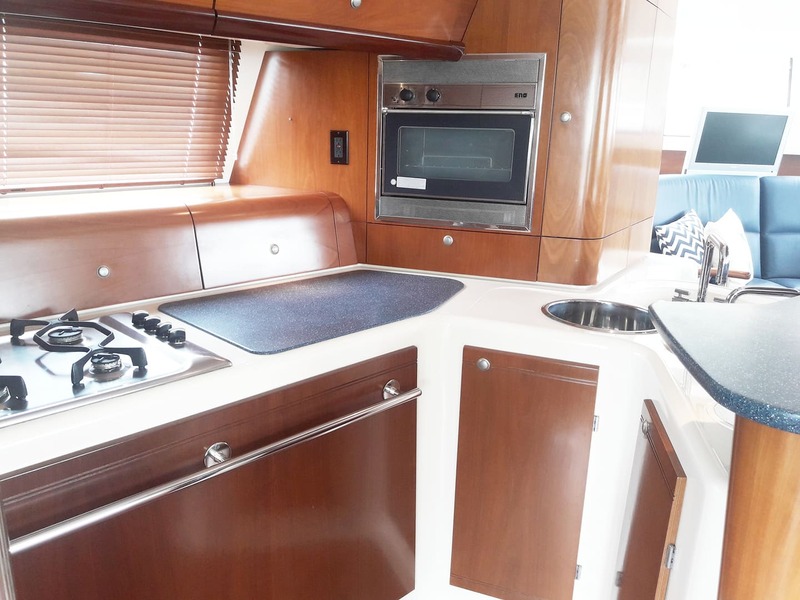 Her galley is fully equipped with a four burner cooktop, oven and large fridge with separate freezer. 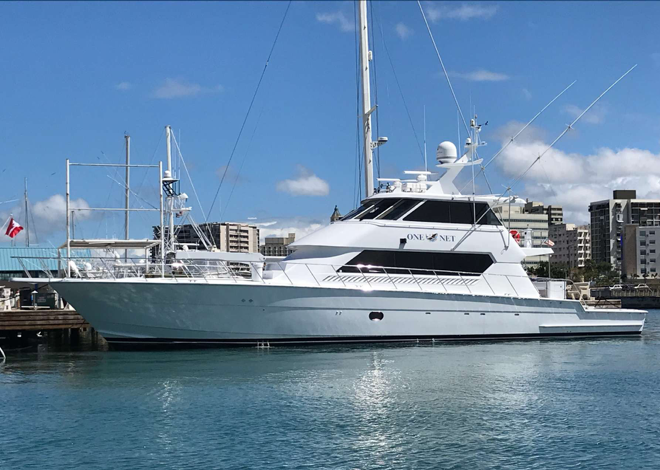 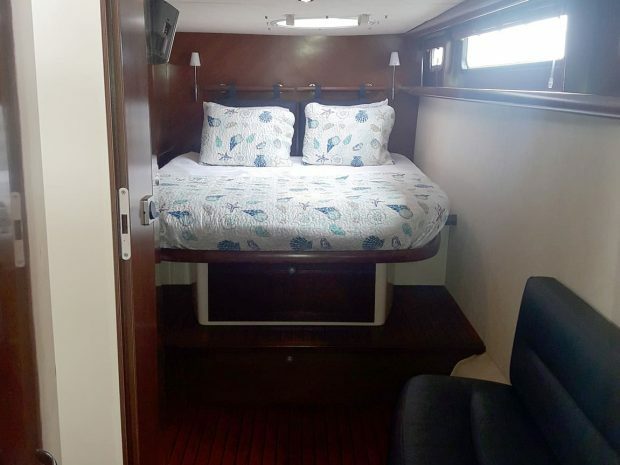 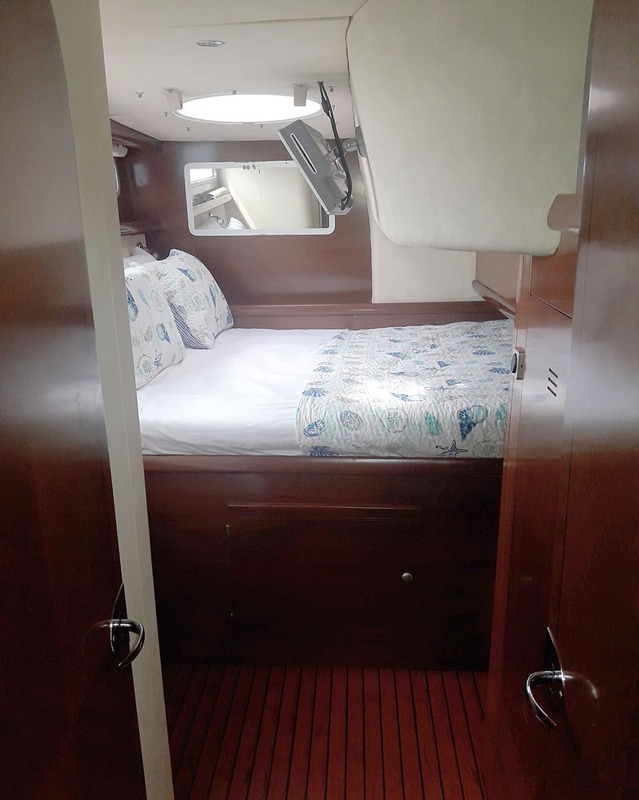 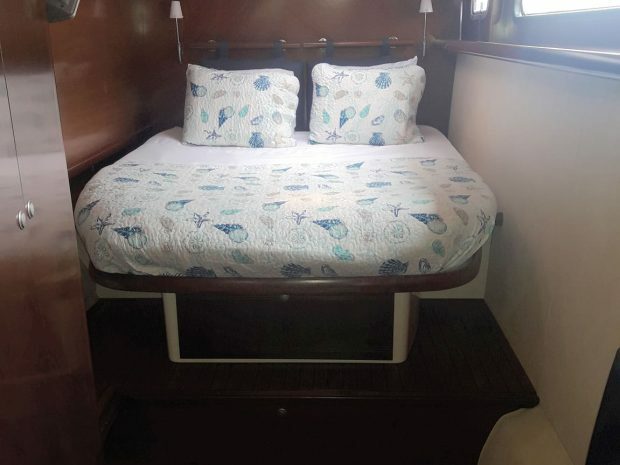 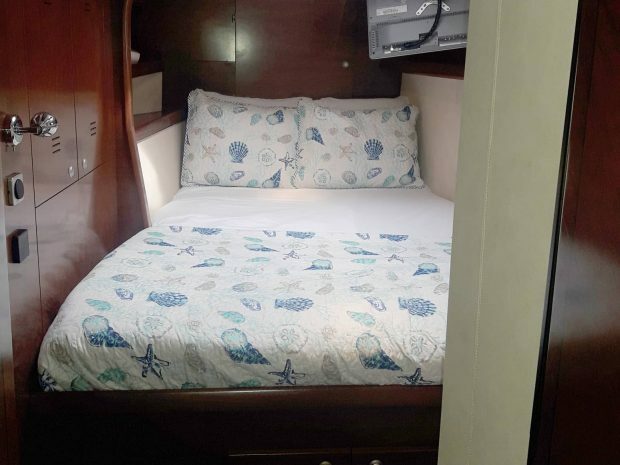 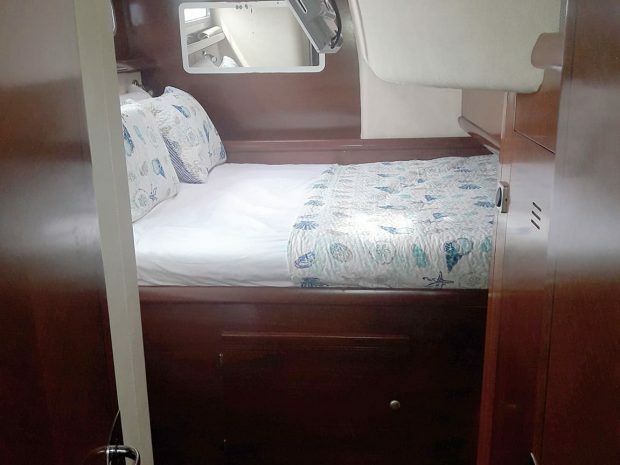 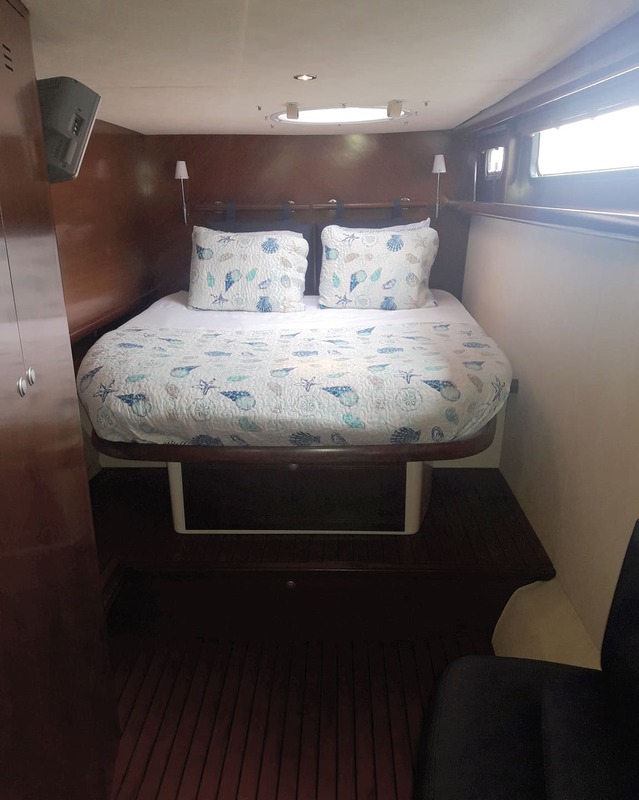 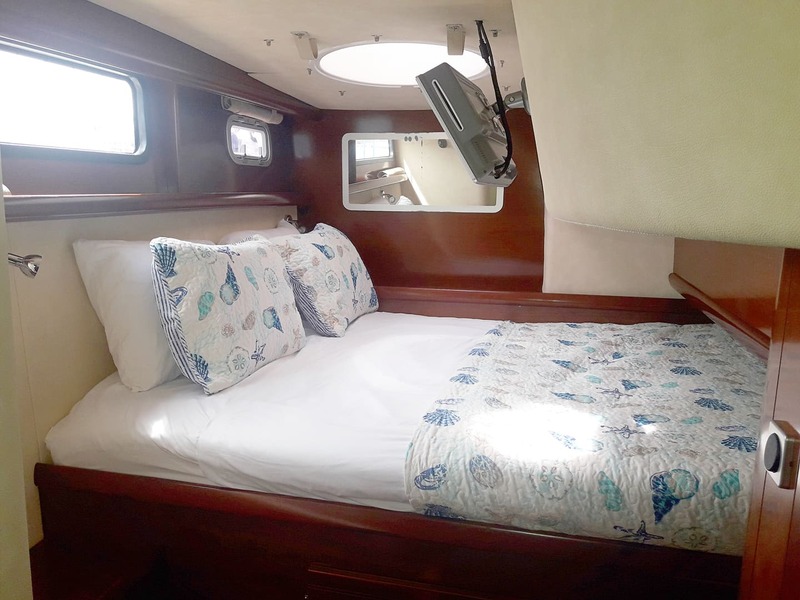 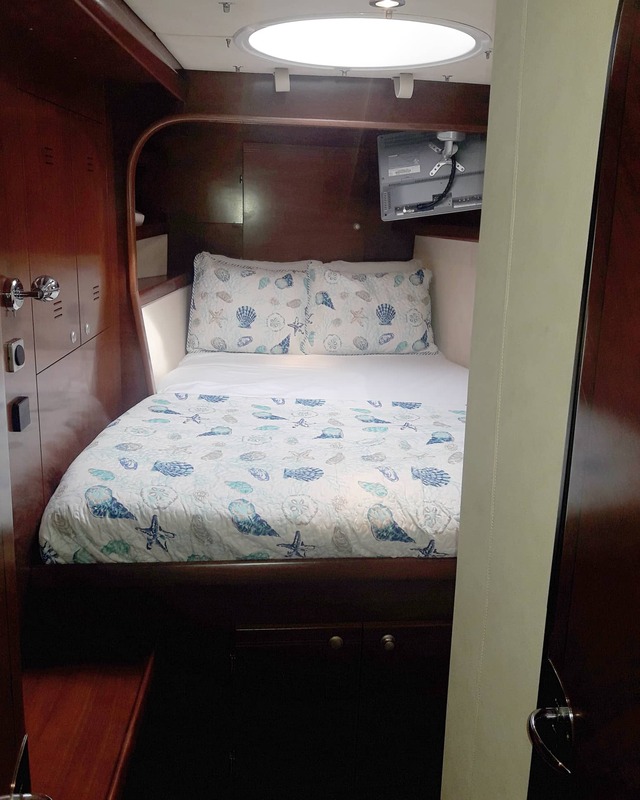 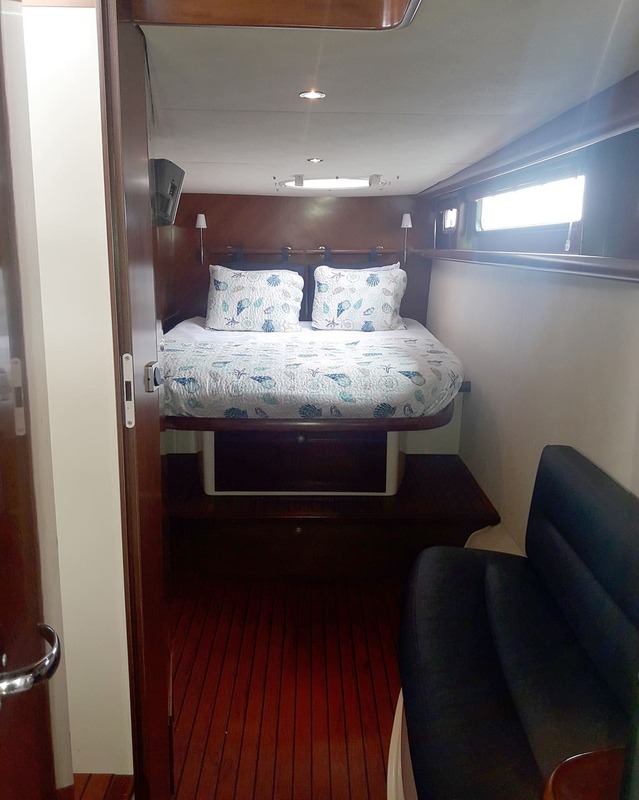 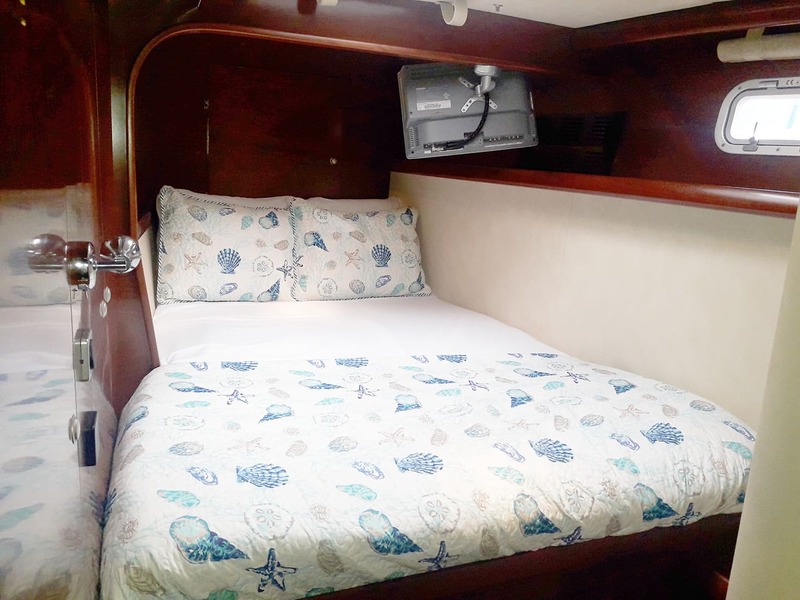 ‘Jolie Blon’ has a very comfortable owner’s version layout, with the port side hull configured as a master suite with a queen bed and large en-suite bath. 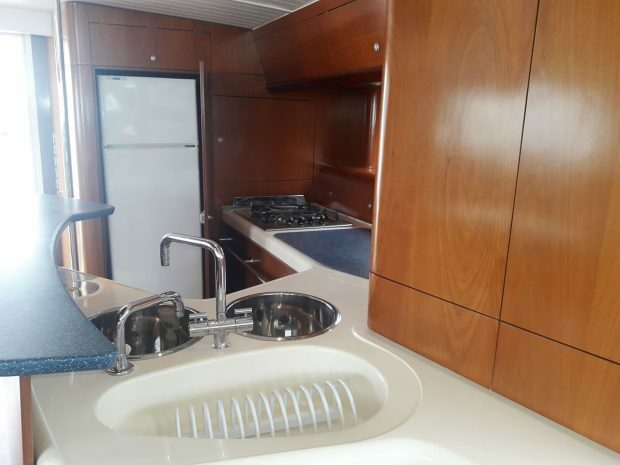 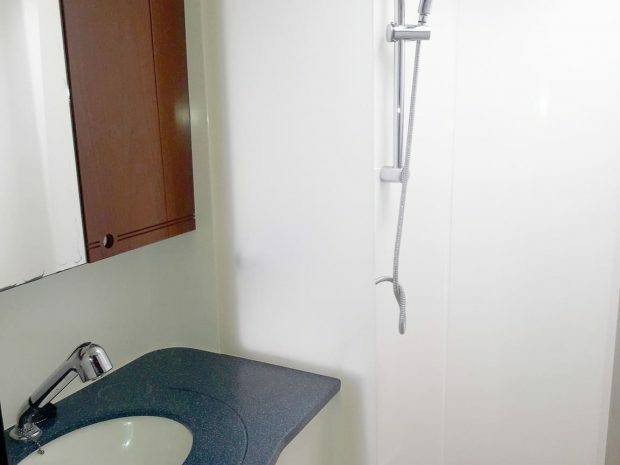 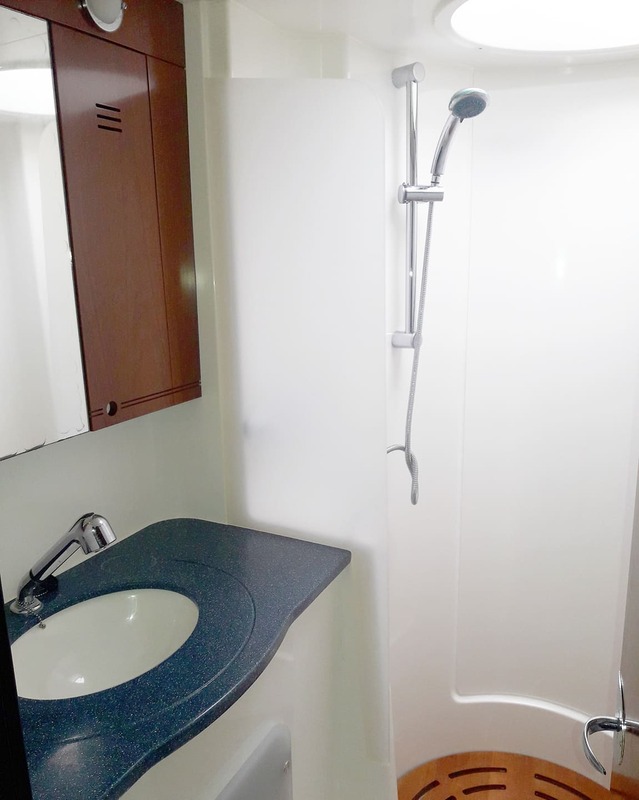 The starboard hull has two queen guest cabins both with their own en-suite heads. 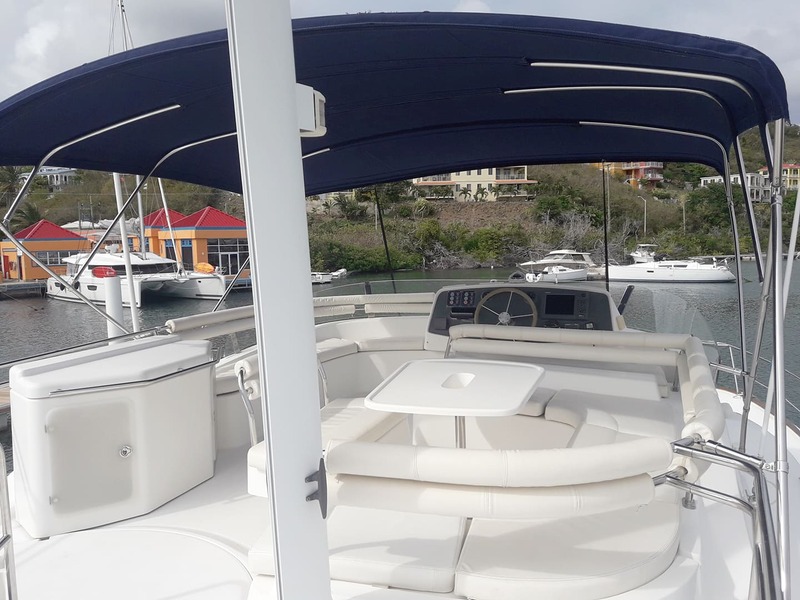 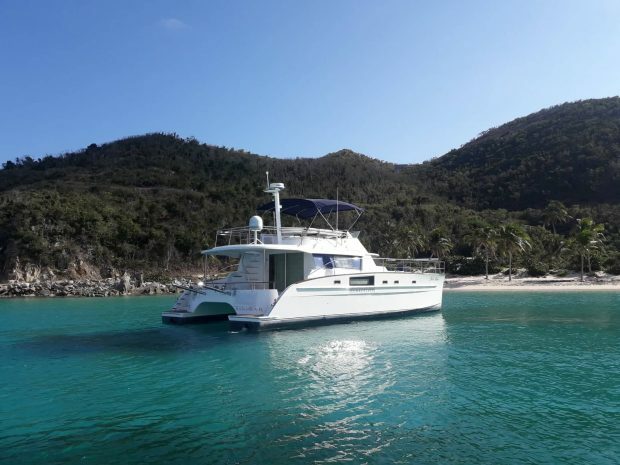 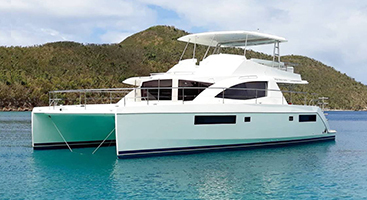 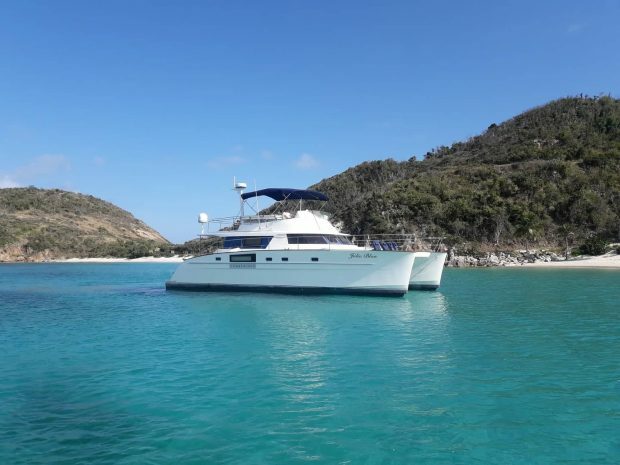 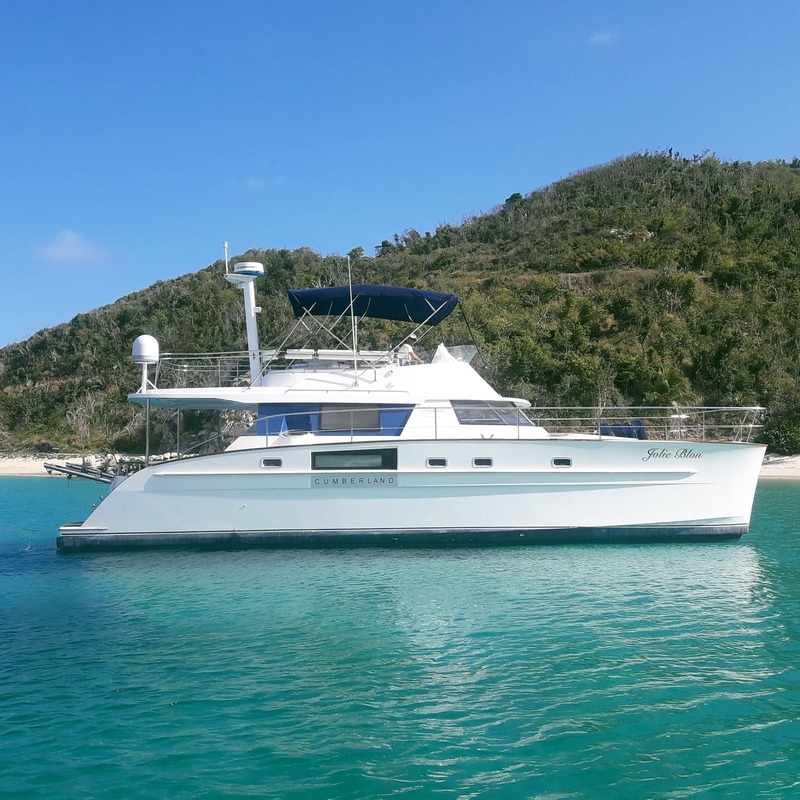 Her layout is perfect for a group of 3 couples or family and friends looking to enjoy a week of relaxing cruising in the BVI!